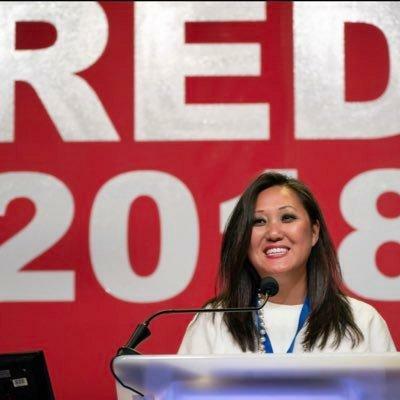 MINNEAPOLIS — Minnesota Republican Party Chairwoman Jennifer Carnahan says she has been the target of racist and sexist attacks from fellow Republicans. Carnahan said on Facebook that she receives hate-filled email and social media messages on a daily basis. She wrote that she was confronted at President Trump's rally in Duluth this past week, where she said she was told she is "disgusting." She said she has received emails telling her she is "not worth a penny" and should "crawl back into a hole and stay there," and that she deserves to make less money than her male predecessors. Democrats blame Mr. Trump for unleashing a new era of racial division. Carnahan, whose term ends next year, rejects that idea.